What’s the future for retail banking? Retail banks are experiencing the same disruption encountered by the telecommunications industry ten years ago. In an increasingly digitalised world, we asked Paul Barnes,Territory Director Northern Europe and Middle East, App Annie, for his thoughts on what’s in store for the future of retail banking. The arrival of the mobile-first world is driving higher expectations from consumers across the globe. Today, customers want instant, innovative services that are easy to use and available 24/7. This is felt nowhere more than the retail banking industry. Once an austere building with a row of clerks ensconced behind glass, the high street bank is rapidly transforming into an icon among many apps on your smartphone screen. With this, it is fuelling a reinvention of the banking experience. No longer should simple activities require a trip to the branch or even the opening of a laptop. Want to check your balance before you buy something, repay a friend for dinner, report and cancel your lost card? – the smartphone is with you far more than any other device and therefore the most accessible channel through which to carry out these tasks and more. This new way of convenient banking is not only great for customers, but also for the financial institutions, who gain greater insight into customer behaviour from data gathered through the app. However, a reluctance to invest initially has meant that many banks are still playing catch-up to cash-rich start-ups that have the agility and inspiration to envisage how banking should be. To open a new bank / fin-tech service today is to demonstrate a realisation that we’re now entering a smart era for smart finance for smart humans. The advances in technology have empowered the consumer; given them more choice when it comes to the services they want to receive, whether that be in banking and any other industry today. If the customer experience is not up to standard or doesn’t include a sought-after technological advancement, today’s consumers will move on without hesitation. We’re now in an era where loyalty is short-lived and to keep relevant and maintain engagement in today’s mobile-first world, companies must provide the services that customers don’t even know they need yet. Already within Europe, consumers are quickly getting used to the idea of mobile banking and as a result are keen to explore how it can work for them. In UK, France and Netherlands we’ve seen the number of times mobile phone users open up the most popular finance apps double over the past 2 years – with French consumers racking up more than 2bn sessions in 2016. In Germany, the number of sessions trebled in the past two years – a clear indication that consumers in Western Europe are eager to make their banking experience more convenient. This shift is not just occurring in Europe though. In 2016, total worldwide sessions in Finance apps increased by more than 36 per cent – showing it’s not just a Western phenomenon. In fact, in South Korea and Australia, total sessions in the same app category more than doubled in 2016 compared to 2014. And there are a number of reasons retail banks should be excited by mobile technology. According to Bain & Co. banking customers that frequently use mobile and online channels are 40 per cent less likely to churn than those who reported infrequent or less use. While Omnichannel customers — those who use both branch- and mobile-based services — tend to give higher loyalty scores. With the popularity of apps expected to continue its stratospheric rise – 6 billion smartphones users forecast by 2021 and up to 2 hours spent in apps every day – eventually we could foresee a world in which we need never think about money again as we go about our daily lives. With the introduction of Uber, we never have to fumble for cash or card at our destination, and now the news that Amazon’s payless grocery store ‘Amazon Go’ is looking to come over to Europe – perhaps physical monetary transactions will soon be a thing of the past. If so, then our banking experience needs to follow suit. It is precisely this focus that has enabled fintech firms (early adopters of the app-first mindset) to focus on leveraging customer experience across a range of affinity services towards the bricks and mortar banking customers. This is where the opportunity lies regarding margins and future revenue streams. Bank account consolidation, payments, FX and remittances are just some of the services that will potentially migrate to fintech companies providing a superior customer experience. Monitoring and learning from these industry challengers will be critical, should the retail banks want to survive. This penchant for unrestricted services from consumers can already be seen as our data shows that in the UK in the second half of 2016 total number of sessions in the top five fintech apps by monthly average user was just under 3 times higher than two years previously. While over the same time period, sessions per user increased by nearly 90 per cent — a significantly faster rate of growth than for retail banking apps overall. It is not just the UK that is experiencing this sort of change though. Total worldwide downloads for Finance apps have increased by 100 per cent over the past two years. This has been particularly true of the Asia Pacific market, with download growth of the category outstripping that of all others aside from games. Specifically, China has shown huge expansion, with Finance app downloads spiking by 230 per cent in 2016 alone. 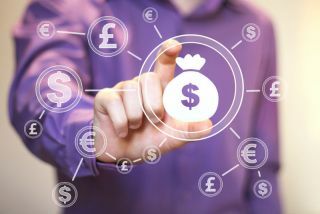 It is vital to note though that this penetration is not situation solely in the Asia Pacific market, with a gobsmacking 63 per cent of global banking customers currently using fintech products or services. European organisations can also look towards the Asia Pacific, where different patterns have emerged in retail banking apps. For example, in South Korea, leading banks ‘unbundle’ their apps. What this means is that banks have standalone apps for different services, with many organisations splitting out mobile payments, transaction tracking and investments from their core offering. This can seriously improve customer engagement and is something that Western banks can look to emulate – as long as the focus is on meeting customer needs. It’s an exciting time for retail banks. They must now look ahead to where they want to be in the future, by embracing change and partnering with technology innovators to improve the service they provide their customers. In light of the increasing competition, both retail banks and fintech firms need to listen to their users and formulate business strategies based on user data.